Every spring, when the winter snows finally begin to melt, low-lying areas in Vermont are prone to flooding. Fields and forests alike spend just a few weeks under water, until the natural processes of evaporation and absorption reveal dry ground again. 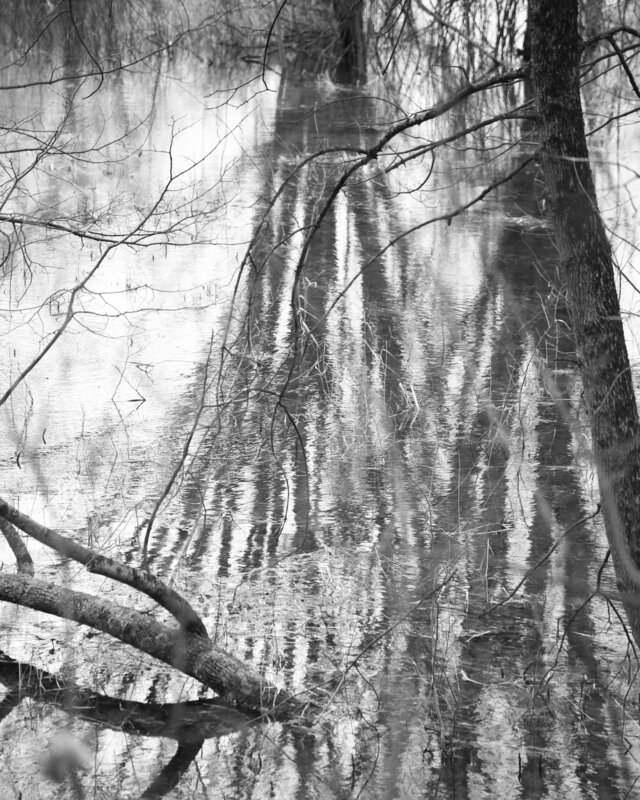 After the Flood is the visual record of just one of these flooded forests. While inundated, this small patch of woods transforms from ordinary to enchanted. Though bordering a busy highway, it offers no evidence of human activity within its confines. It's easy to imagine a time before man, when only bird and beast made their way through the trees and the only sound was the wind rustling the still-bare branches. 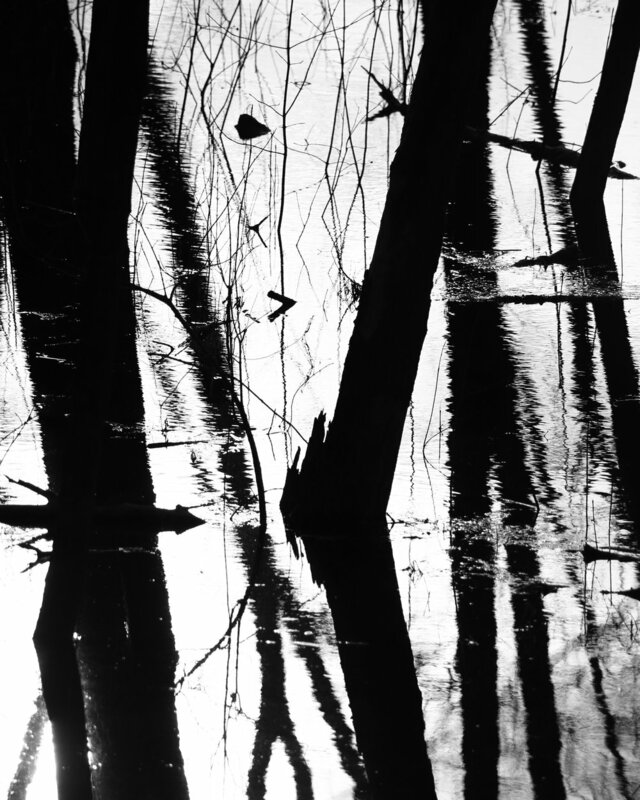 At certain times of day, in the right light and atmospheric conditions, the woods themselves seem to abstract themselves: where do the trees end and their reflections begin? What is solid and what is shadow? 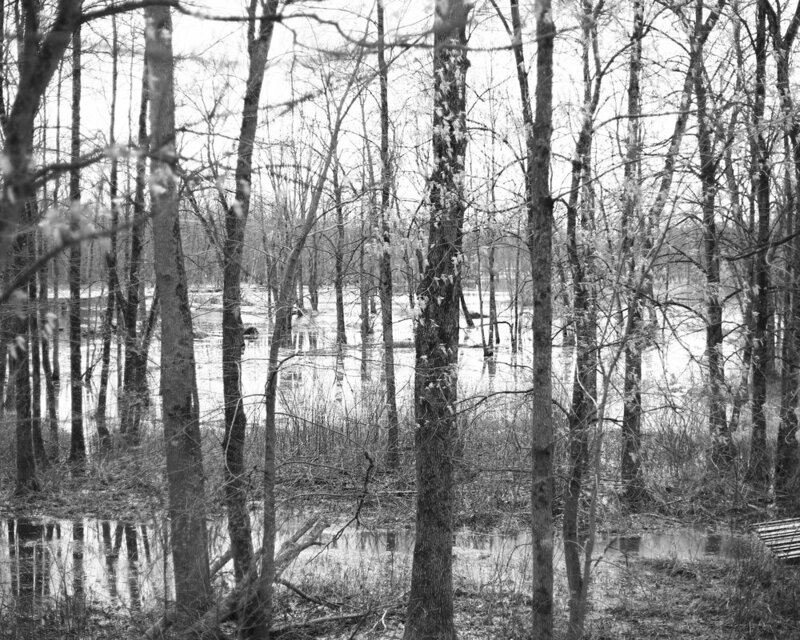 This was my project as I worked to capture the flood plain before it dried. 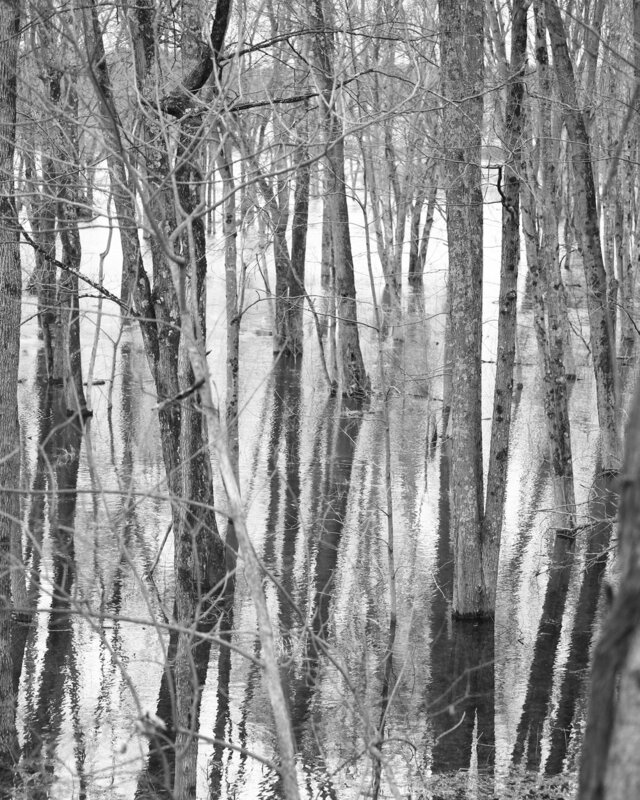 Using only my camera, with no post-processing or editing (except to crop to the 8" x 10" format), I attempted to portray the naturally abstract and impressionistic qualities of the woods. The results range from the merely disorienting to the downright abstract. Up close, the images reveal their subject; from a distance, the mind struggles to identify what it's looking at. This series is part of an ongoing project to capture natural abstraction without use of post-processing.